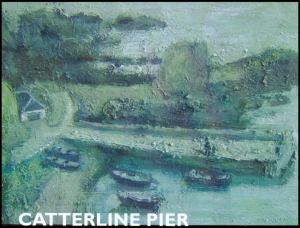 We hope you will come along to watch all the thrills and spills of the Catterline Cartie Challenge. You are more than welcome and we sincerely hope you enjoy the day, but there are a few things we'd like you to be aware of. Whilst every effort has been made to ensure that the Catterline Cartie Challenge poses as little risk to the public as possible, we cannot accept any liability for any loss or injury that occurs while you are attending the event. The time trials will start as close to 1.30 pm as possible. Please try to arrive in good time so you can be in place before then, as we cannot allow you to move up and down the brae while the carties are competing. Please park in the school yard or the playing fields (marked as  on the map below). There simply isn't enough room in the village. Please keep clear of the course during the time trials. Please keep clear of the course during the time trials. No really. We mean it. Just gonnae no. We suggest you will get the best views from the areas marked in green on the map below. 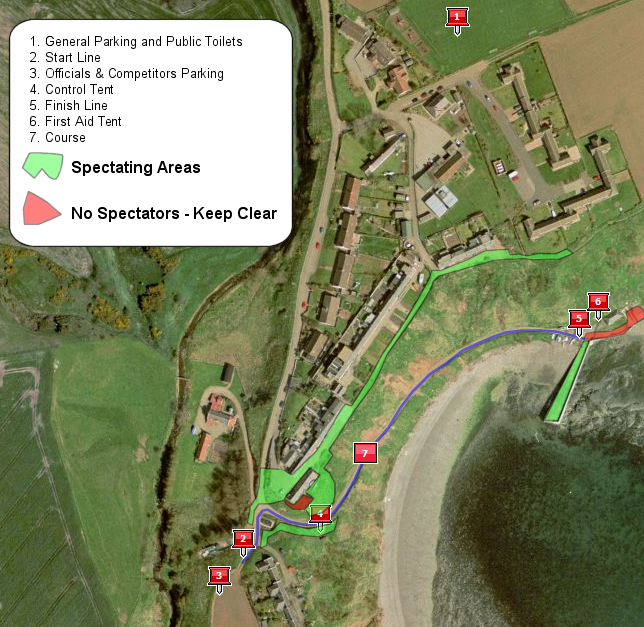 Please note that there are no toilet facilities down by the pier, and there is no way to get back up to the top of the brae while the time trials are in progress. If convenient access to toilets is important to you, we suggest you plan to stand somewhere else. Please cooperate with the volunteer marshals, who will be working hard to make sure we all have a good time. Please look after our village. We live here. Please be decent. If you take any pictures that you'd like to share, don't forget you can upload them to our picture gallery. And finally... please relax and enjoy the spectacle! Submitted by stephen on June 30, 2006 - 20:13.